Knitting in the Heartland 2014 – Come See NGY! It is time again for Knitting in the Heartland. No excuses Kansas City, the marketplace is free! There are some amazing classes happening as well. Fiona Ellis is presenting the keynote on Friday night and you can pick up a ticket for only $5. Not only will this ticket let you into the keynote but for the first time ever the marketplace will be open on Friday night as a special preview only to keynote ticket holders. I wish I wasn’t working a booth because I would really like to get in on Ana Reinert’s Color Matters class on Sunday. I will have all my new colorways in stock in a delightful assortment of bases, Knit it or Spin it Roving on sparkles and plain merino, and some Anarchy Thick n’ Thin. 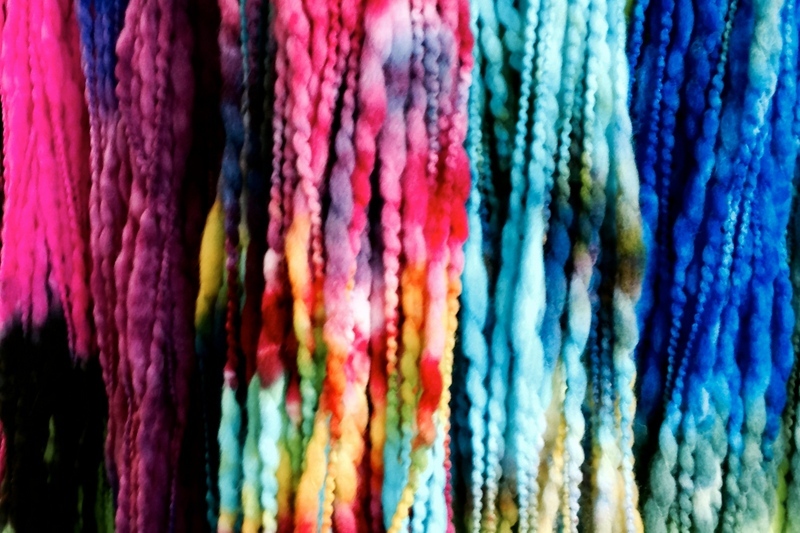 As is my way, I will have a stock of one of a kind yarns and fibers and a limited stock of previous club colorways. For the first time in the NGY booth there will also be some fantastic patterns that you cannot get anywhere else – I am going to make you come see these for yourself. Heads up, because we are taking all of our in stocks and a lot of our fixtures to vend the Nerd Girl Yarns Studio will be closed Wednesday, April 2nd through Monday, April 7th. We will be back and ready for open crafting on Tuesday, April 8th at 10am!